Home » Bengal Cat Behavior » Does Your Cat Like Music? 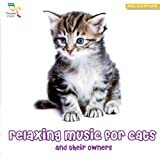 A while ago, there was a study conducted by some researchers to see whether cats reacted more to music made for humans, or music specifically made for cats. The cats seem to prefer the music that was made for them; well actually, they were just more curious about the cat music than the human music. One of the differences between human noises and Cats’ dulcet tones is that cat’s voices have sliding frequencies. So, they tested the song “Cozmo’s Air”, which has a similar pulse rate to purring of 1380 beats and sliding frequencies in 44 percent of the song. From what I have seen living with cats for all of my life, cats do like human music and even being sung to by their humans; however, they do prefer specific sounds. Also, this is not scientific just my cat owner opinion. Your cat probably isn’t going to be a fan of loud heavy metal music. Cats have better hearing than humans do, so for your cat’s sake, try not to play full blast punk-rock. From what I have seen personally, my cat does not like shrill sounds, sometime even getting irritated if I speak too shrilly to a friend, even if we are both laughing. Cats make shrill sounds when they are fighting, so it makes sense that they would not like shrill music. No one likes an impromptu adrenalin surge. 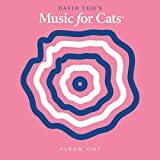 Cats like songs that remind them of cat sounds, so songs that are slow and even songs that sort of rumble, because it reminds them of purring. Every cats taste is different though, so your cat might like something peppier. Of the songs on the radio, my cats like peppy songs that I can sing along to. Maybe they like these songs because I have a sort of happy mood while listening to them or maybe they genuinely enjoy those kinds of songs. Of course, if I play the music too loud then the kitties scatter no matter what they like. My cats prefer female voices, probably because they live with females. The songs my cat likes the best however, are the songs I sing to them without music, telling them how fluffy they are, singing their names a certain way, etc. really makes them happy. I really think cats don’t care what type of music you play, (as long as you avoid shrill sounds) if you enjoy it then your cats probably do to. 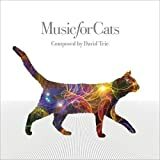 You don’t need to go out and buy a bunch of music, just have fun listening to what you like with your cats!